For digital businesses, the importance of applications can’t be exaggerated. If applications don’t work or underperform, there is a substantial impact on business. The estimated cost of downtime for the Fortune 1000 is between $1.25 billion and $2.5 billion every year. 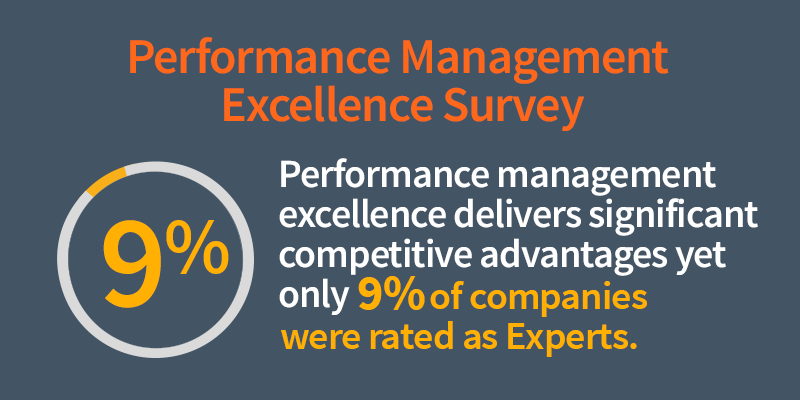 Based on that figure alone, it’s easy to see why having a holistic approach to performance management is a business imperative. That approach, which is the combination of technologies, people, and processes that help keep apps and other digital services up and running at top-notch speeds, is especially important for driving business agility and innovation. But what are the actual business outcomes of holistic performance management? And what characteristics do IT organizations share that excel at such practices? We at Riverbed wondered the same thing. That’s why we recently commissioned a survey with ESG to assess enterprise performance management practices and develop a data-driven model to correlate maturity to other behaviors and outcomes. Each possible response to each question in the areas listed above was assigned a point value. Scoring was designed to give each segmentation criteria roughly equal weight while still ensuring particularly forward-looking behaviors were given an appropriately high maturity score. When all was said and done, only 9% of participants were rated as Experts, while 63% were Aspiring, and 28% were Nascent. Fewer app outages: Experts are 2X as likely as other organizations to report less than 5% of critical apps have monthly issues. Faster problem resolution: Experts solve issues 4X faster than less advanced teams, often in under than 30 minutes. Accelerated development timelines: Experts develop more apps on or ahead of schedule, with far fewer break/fix events. Measurable business impact: Experts can translate app performance data into financial impact and other business insights. Perhaps most important of all, IT teams at Expert organizations are viewed by their line-of-business stakeholders as competitive differentiators at nearly 7X the frequency of Nascent organizations and 4X the frequency of Aspiring organizations. So the bottom line is that performance management experts clearly make an impact on, well…the business bottom line. That said, 91% of respondents need to improve their ratings to make similar business impacts (and let’s face it, Experts would probably tell you they have room for improvement, too). Read the full research report to learn what other behaviors and characteristics Expert organizations exhibit. Then, see how your organization compares by completing our self-assessment to understand your strengths and weaknesses and gain recommendations on how to improve.